Image courtesy of Library of Congress A Member of both the House and Senate, John Randolph of Virginia served in 15 Congresses. On this date, the House adopted the first rule intended to limit the time a Representative could speak in debate on the House Floor. 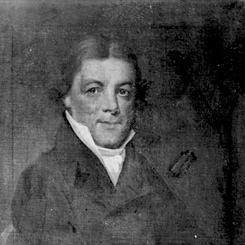 Concerns about long speeches impeding House business had dated to at least 1820, when the irascible John Randolph of Virginia held the House Floor for a four-hour speech on the Missouri Compromise bill. A couple of proposals followed to limit the time a Member could speak to one hour; but the House did not act on them. In March 1833, Frank E. Plummer of Mississippi “so wearied the House in the last hours of the Congress,” noted Hinds’ Precedents, “that repeated attempts were made to induce him to resume his seat, and the House was frequently in extreme confusion and disorder.” Such episodes seemed on the increase. As the House membership grew with westward expansion and the incorporation of new territories into the Union, the impracticability of unlimited debate time on the House Floor grew apparent. The 1841 rule, adopted on the motion of Lott Warren of Georgia, required that “no member shall be allowed to speak more than one hour to any question under debate.” It passed the House by a vote of 111 to 75—with John Quincy Adams of Massachusetts (known as “Old Man Eloquent” by his peers) among those dissenting. Warren’s amendment, however, only temporarily altered the House Rules. According to Hinds’ Precedents the one-hour limit did not become a standing rule of the House until June 1842.